These last few weeks of summer send chefs scrambling for what’s left on the vine. The scent of tomatoes just picked, sliced thick on BLTs, diced atop freshly stuffed tacos, or layered on a platter and dressed in olive oil, salt, and pepper, there’s nothing like a fresh heirloom tomato to make a dish sing with flavor. 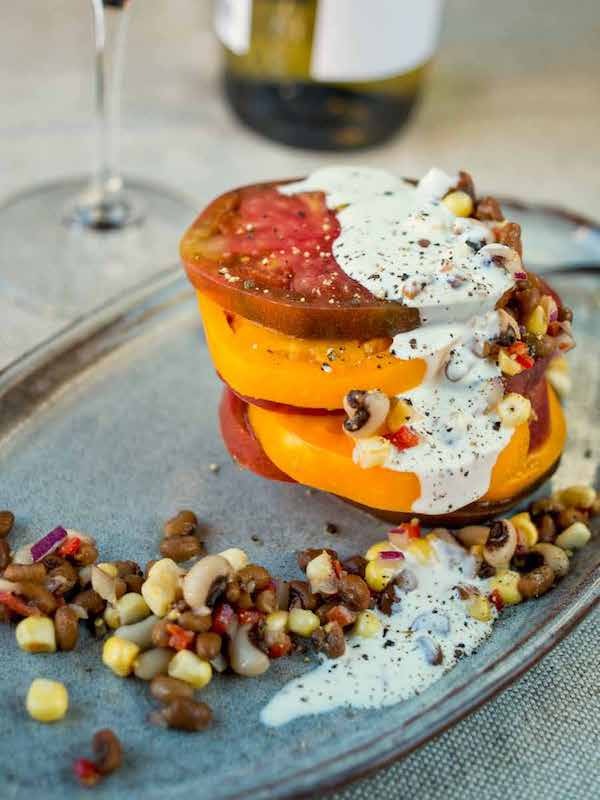 Here are a few dozen of our favorite restaurants for heirloom tomatoes on OpenTable. 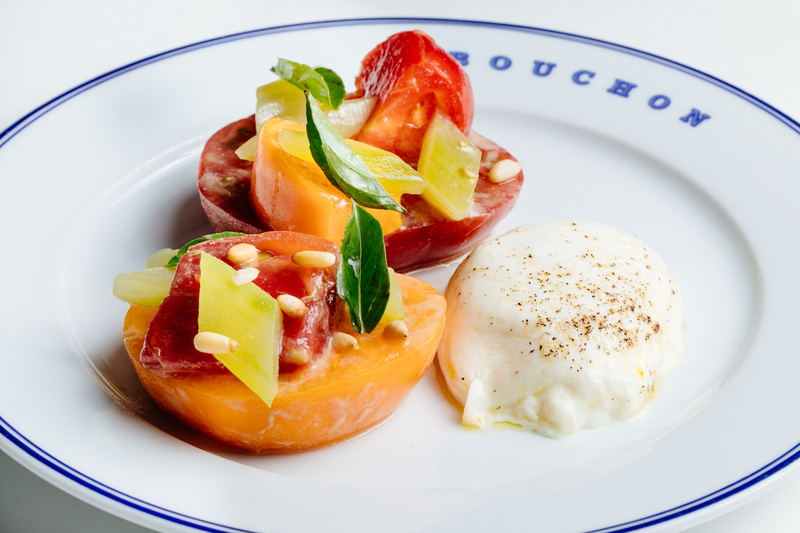 Under the brilliance of Thomas Keller’s restaurant empire, chef de cuisine Josh Crain crafts an equally memorable salade de tomates for the Bouchon family of eateries. He makes his heirloom tomato salad with burrata cheese, English cucumber, pine nuts, young basil, and a parmesan vinaigrette. Make a reservation at Bouchon Bistro. 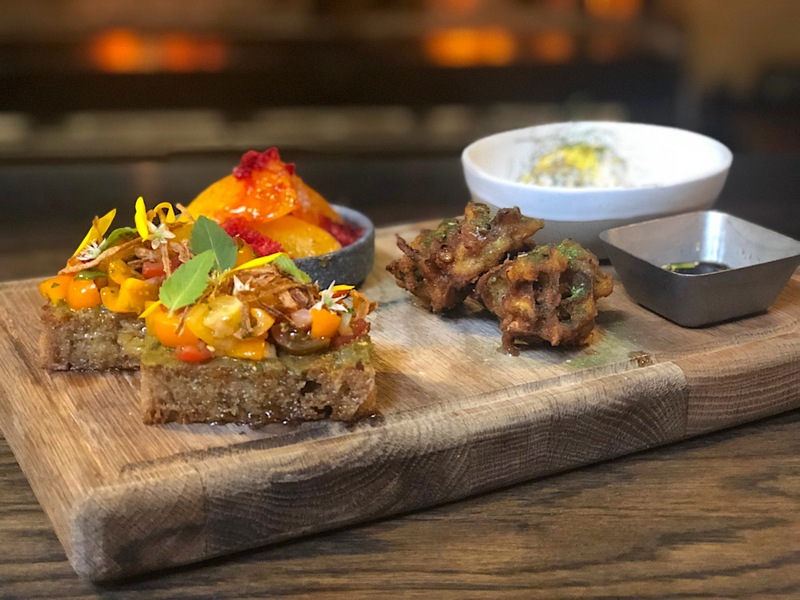 Among the menu of small plates and spectacular views, at The Salted Vine Kitchen + Bar in gorgeous Squamish, British Columbia, Chef Matthew Aleksich loves to capture a bevy of local ingredients. 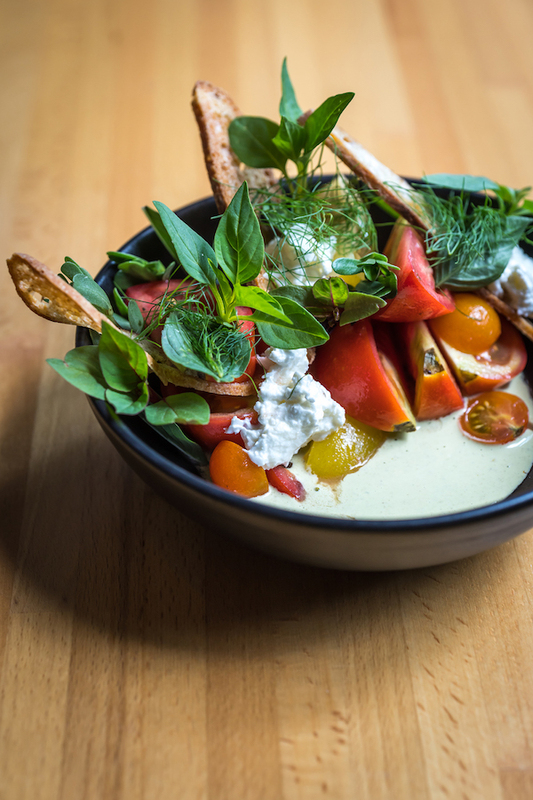 He serves his pick of heirloom tomatoes atop a bed of basil pesto, mixed greens and a garnish of burrata and pine nuts at this Pacific Northwest destination eatery. Make a reservation at The Salted Vine Kitchen + Bar. Josephine’s chef Andy Little knows his way into southern hearts: bacon mayo, of course. 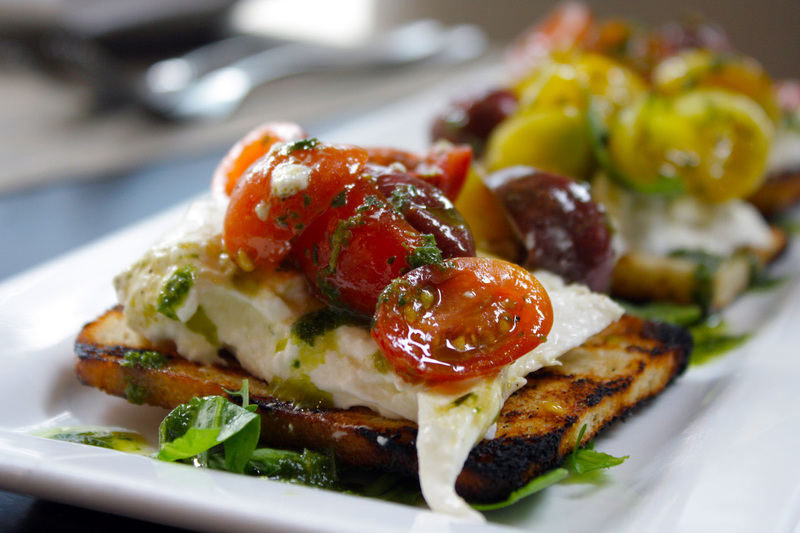 He makes his heirloom tomato dish with Amish tomato, bacon mayo, grilled onion, toast, and basil. Make a reservation at Josephine. 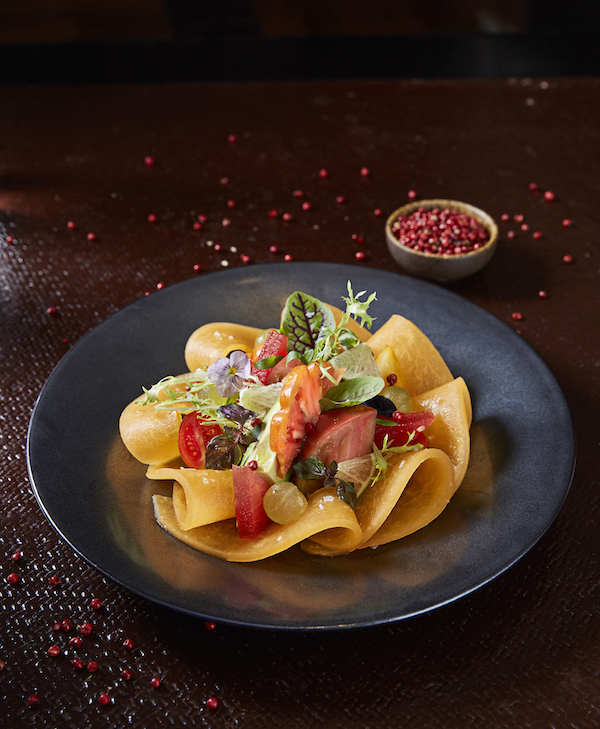 Miami’s spicy side comes to life in a unique version of tomato and melon salad at the exotic Jaya at The Setai Hotel. The avocado and pink peppercorn vinaigrette puts it heads and tails apart from the typical melon and tomato salads elsewhere – with all the spices in the salad made in-house, part of flavor master Vijayudu Veena’s trademark skillset. Make a reservation at Jaya at The Setai. They’re cute, delicious, easy to love, and sometimes, handheld. 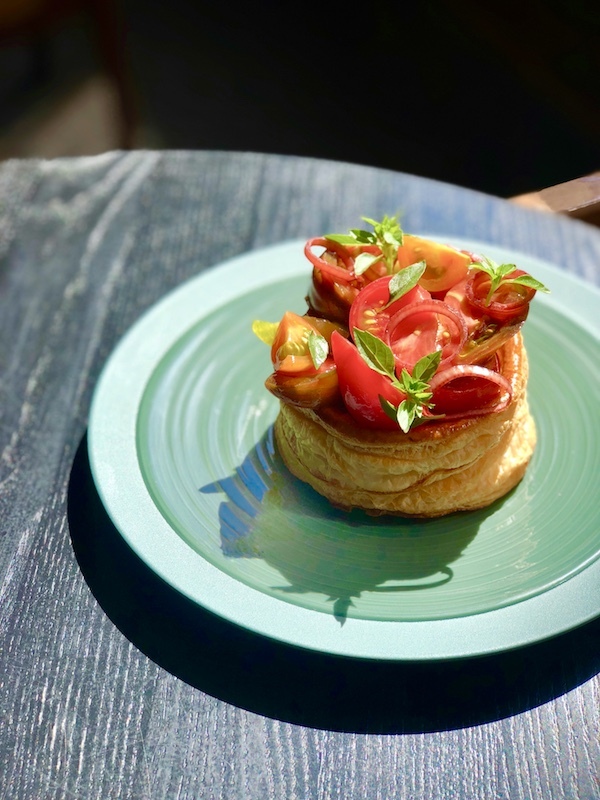 Behold heirloom tomato tarts, and the Little Park version is prepared with cloumage, pickled shallot, and petite basil. It’s worth a train ride to Tribeca before the city’s tomato supply runs out. Make a reservation at Little Park. 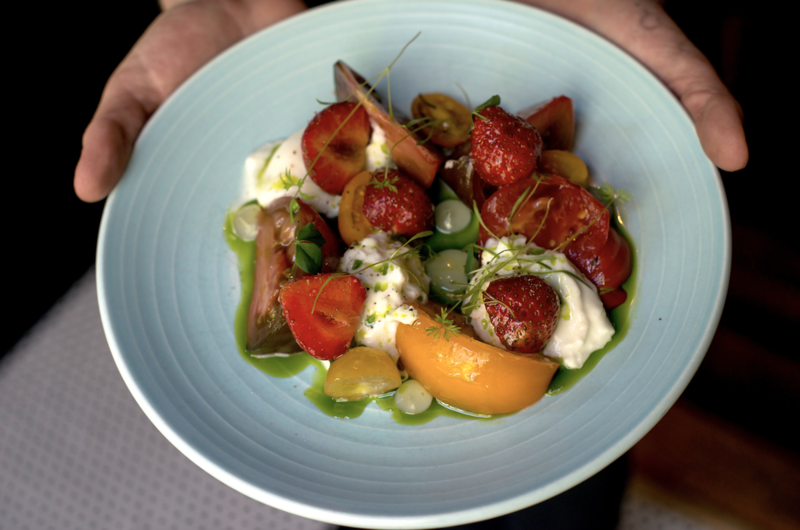 Chef Luca Corazzina knows what all burrata and tomato fans know: if it’s not broken, don’t fix it. He stays true to the classics with his crostini di burrata, prepared on housemade grilled garlic focaccia with fresh burrata, baby heirloom tomatoes, basil, and organic olive oil. Make a reservation at 312 Chicago. 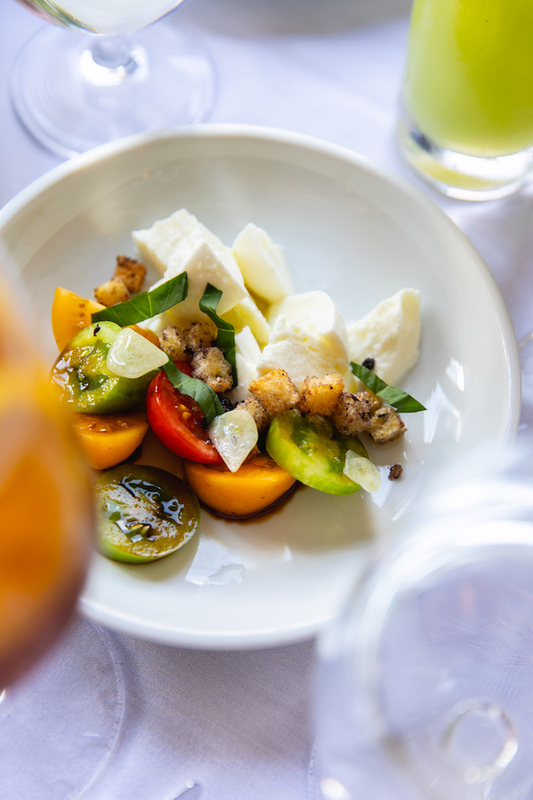 In what’s becoming one of the South’s most coveted dining destinations, Greenville chef Shaun Garcia of Soby’s is serving his marinated heirloom tomatoes with field pea salad and herb dressing. Make a reservation at Soby’s. Chef-owner Antoine Westermann upgrades a traditional Eggs Benedict to entrée status in a nod beyond brunch. 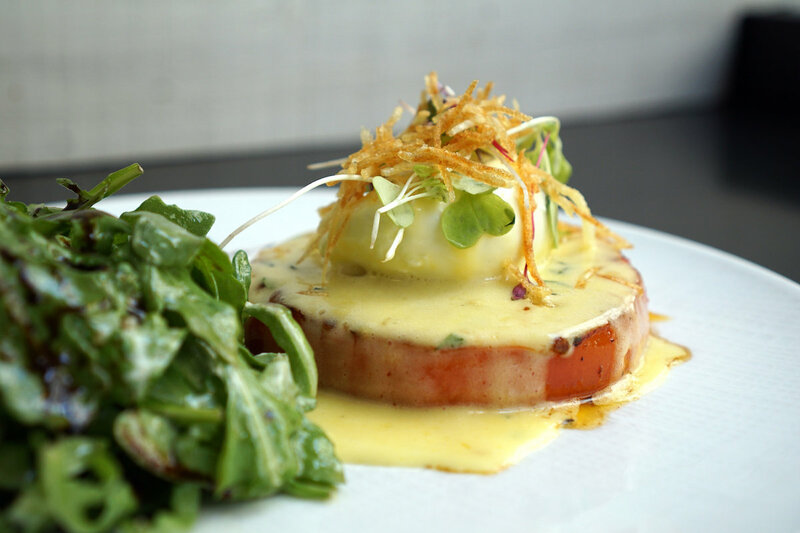 His go-to heirloom tomato dish is a roasted tomato steak with poached egg, thyme, and Béarnaise sauce. Make a reservation at Le Coq Rico. It’s easy to forget that most Greek salads have a wedge or two of tomato. 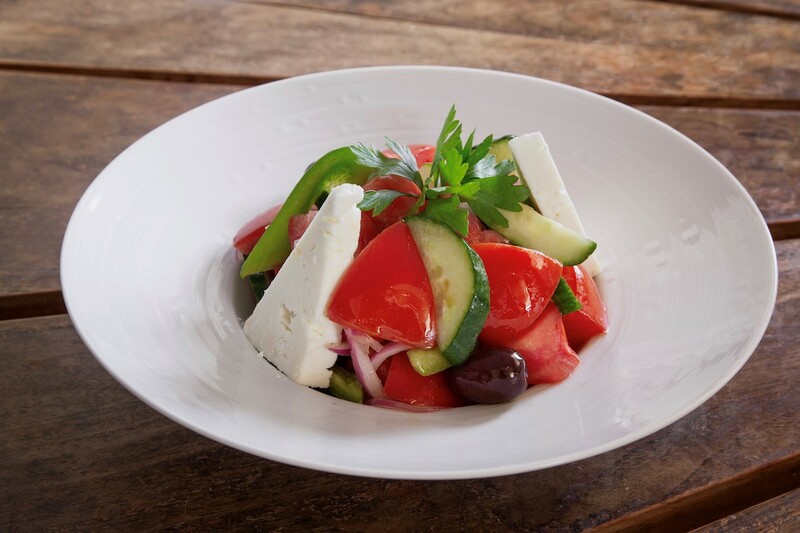 The Greek salad at Estiatorio Milos features the heirloom variety along with cucumbers, extra virgin olive oil, and barrel-aged feta cheese. Simple but flavorful, it’s a standalone entrée or harbinger for a heartier dinner or lunch. Make a reservation at Estiatorio Milos. 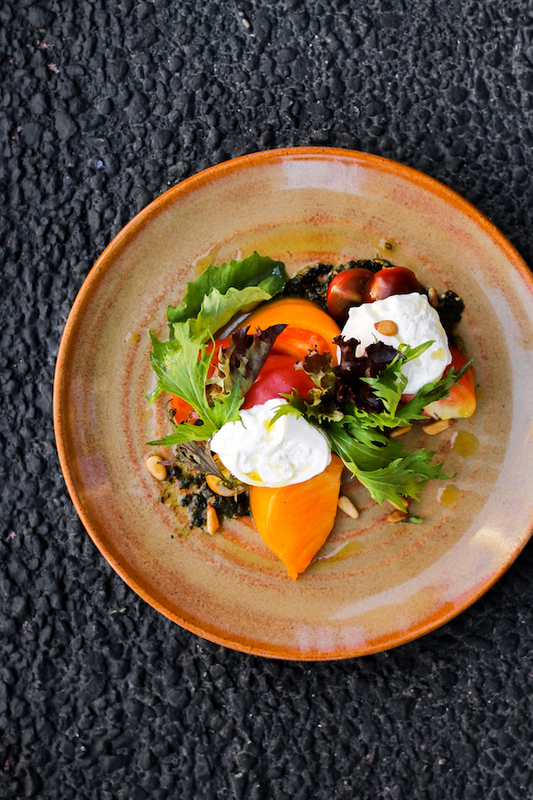 Chef Perry Pollaci whips this heirloom tomato dish into shape with basil whipped goat cheese and roasted strawberry chia seed jam at this Burbank restaurant. One of So Cal’s best places to get city views, snag a seat at the wrap-around bar or chef’s table. Make a reservation at Castaway. Chef Nicholas Tang, who cooks at the helm of Daniel Boulud’s DBGB DC, makes this part brasserie/part tavern the place to try a flawlessly toasted focaccia with basil pesto, burrata and heirloom tomatoes on a menu that celebrates contemporary French-American fare. Don’t forget to add a housemade sausage on your visit to this CityCenterDC locale. Make a reservation at DBGB DC. 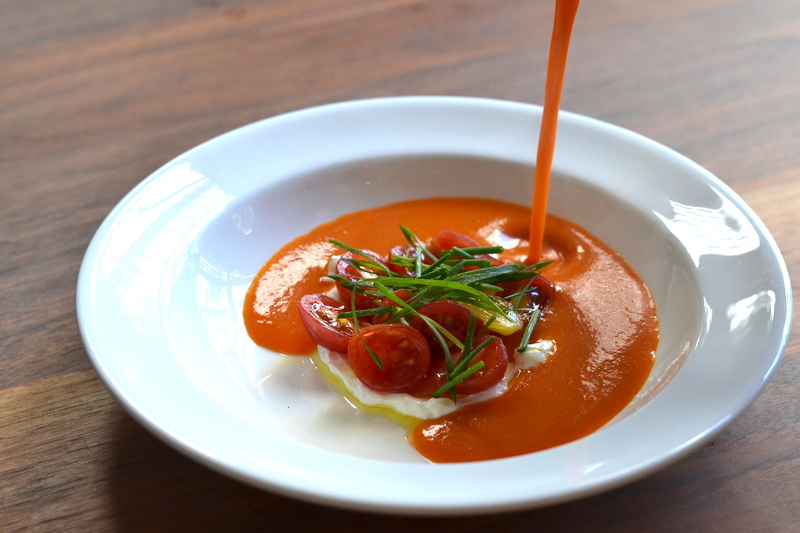 Tomato soup is in demand all year long, but during heirloom tomato season is when to flock to chef Mark Dommen’s One Market Restaurant. His heirloom tomato soup is special, with ‘nduja crouton, fromage blanc, and marjoram, available on both the lunch and dinner menus. Make a reservation at One Market Restaurant. 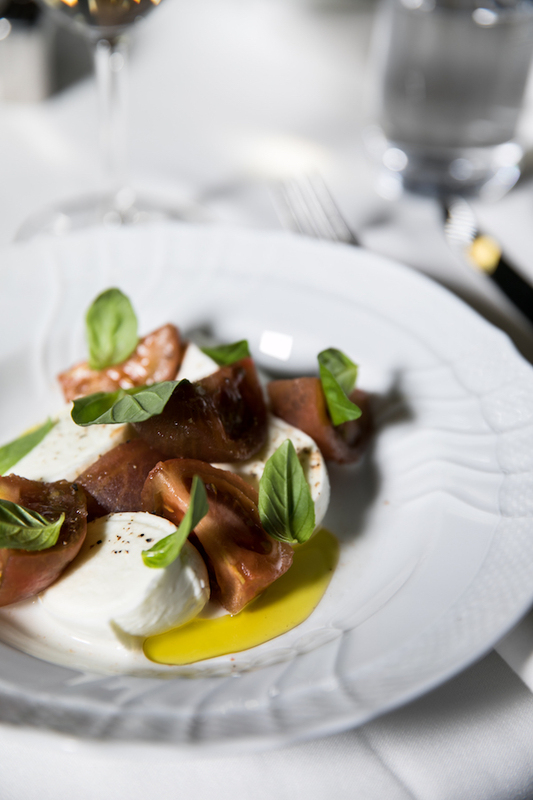 Ursini ‘Solo Gentile’ olive oil, buffalo mozzarella, and basil make Casa Lever chef Domenico Natale’s caprese something special with Kumato tomato at this Midtown East Manhattan restaurant. Make a reservation at Casa Lever. 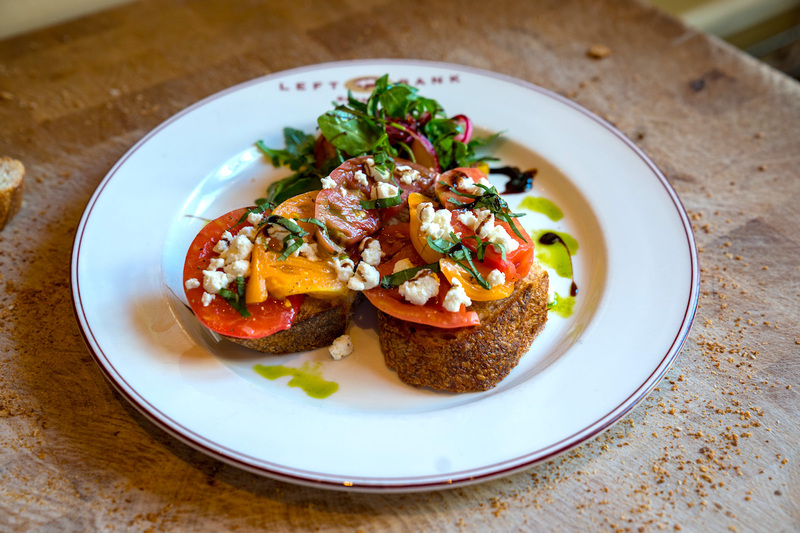 The words tartine de tomate make tomato lovers swoon – after all, what could be better than savory tomatoes and bread? 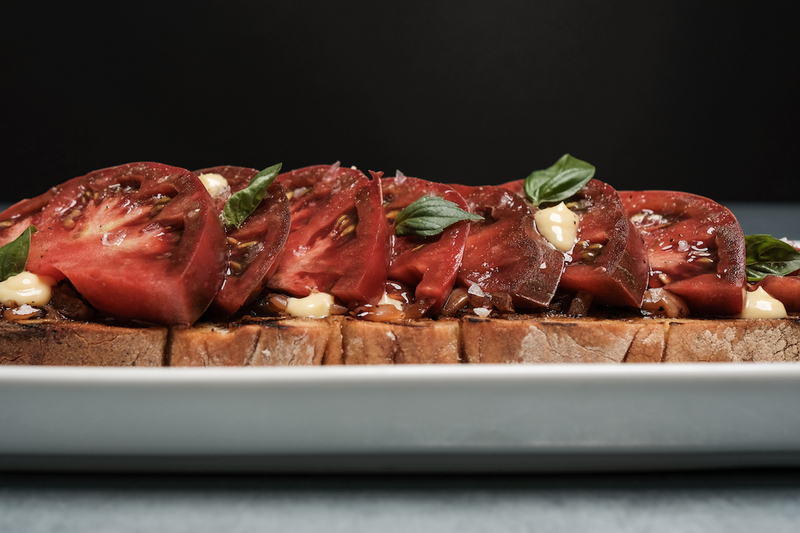 From chef David Bastide, heirloom tomatoes pair perfectly with grilled country levain bread, roasted garlic, arugula, basil, goat cheese, fleur de sel, and balsamic reduction. Make a reservation at Left Bank Brasserie. White Bull fans say it’s a farm-forward restaurant, and that fits. Chef Pat Pascarella serves his heirloom tomatoes with his housemade ricotta, green goddess dressing, frisee, and tomme. Make a reservation at The White Bull. Asheville super chef Hugo Ramireza creates modern Mexican and Californian-inspired cuisine in this mountain town where nearly two dozen farmer’s markets spring up throughout the growing season. He serves an arugula and heirloom tomato salad with radishes, Cabrales bleu cheese, and crème fraîche-horseradish vinaigrette. Make a reservation at Limones. To say everything tastes better in Vancouver isn’t a stretch, including chef Ian McHale’s cuisine at Wildebeest. 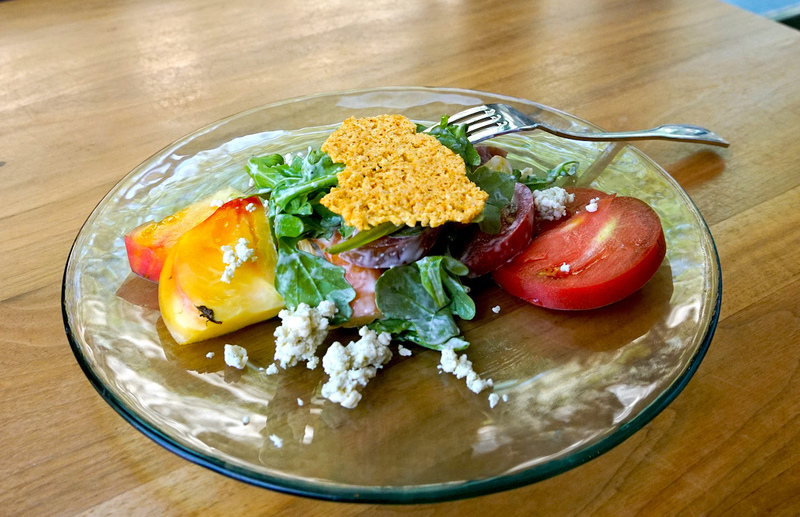 His sun gold, tiger, and cherry heirloom tomato salad is sourced from Klipper’s Organics Farm in Cawston, British Columbia. McHale prepares it with an intoxicating combination of tomato consommé, BC strawberries dressed with made in-house, locally foraged elderflower vinegar, basil oil, and fresh burrata. Make a reservation at Wildebeest. 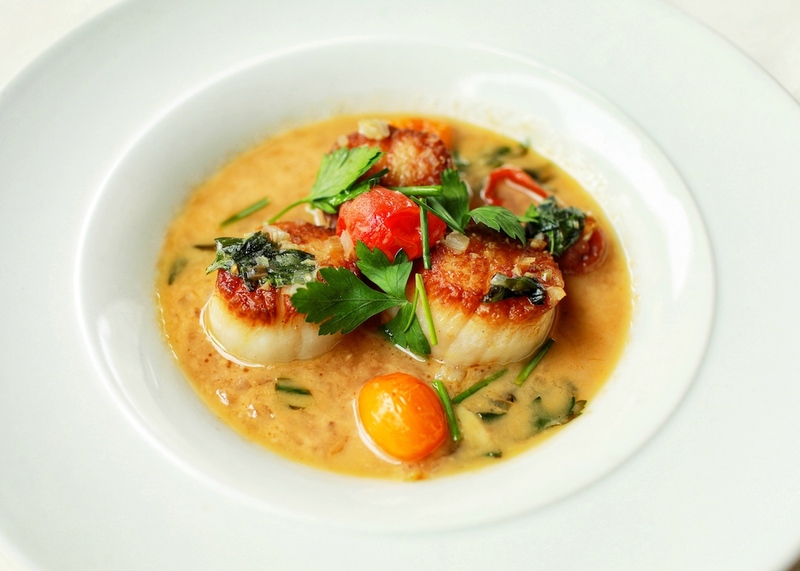 They call ‘Benny’s Way’ a shortcut for excellence at this Chi-town restaurant, and the scallops with slow-roasted heirloom tomatoes are no exception, not to mention the garlic butter. The River North restaurant also serves an heirloom tomato gazpacho, a light treat before a succulent cut of beef at the independently owned steakhouse. Make a reservation at Benny’s Chop House. Chef Claudette Zepeda-Wilkins is making waves of flavor at the recently opened El Jardín restaurant in San Diego. 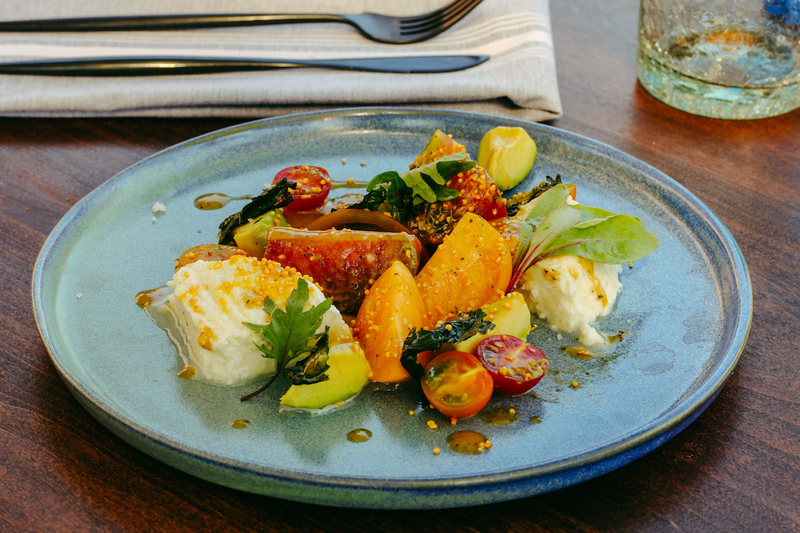 She prominently features heirloom tomatoes in her Xitomātl dish with a chaya vinaigrette, amaranth grain, panela cheese, and smoked nectarines and peaches in this regional Mexican restaurant in the Point Loma neighborhood. Make a reservation at El Jardin. 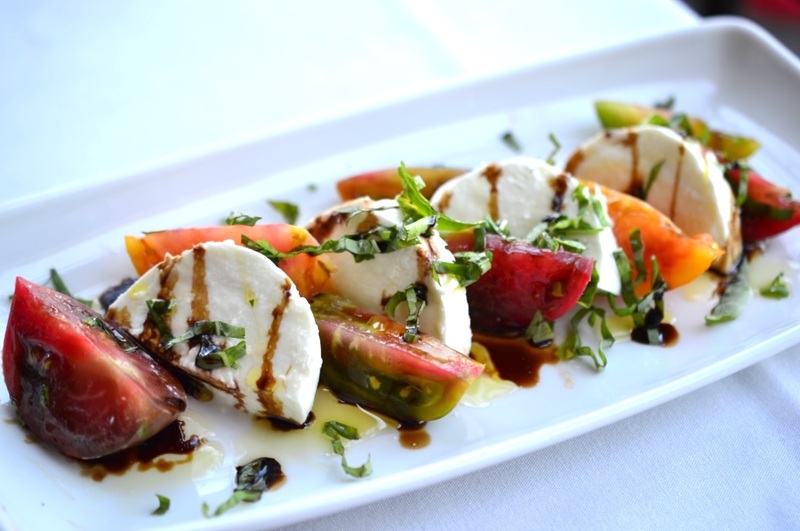 At this Richardson Bay Italian trattoria chef Benjamin Balesteri gives a Northern California upgrade to a typical caprese antipasti with heirloom tomatoes, local buffalo mozzarella, fresh basil, and aceto balsamico. Poggio is the only restaurant with a Harlan Wine list, so grab a bottle for the table. Make a reservation at Poggio Trattoria. 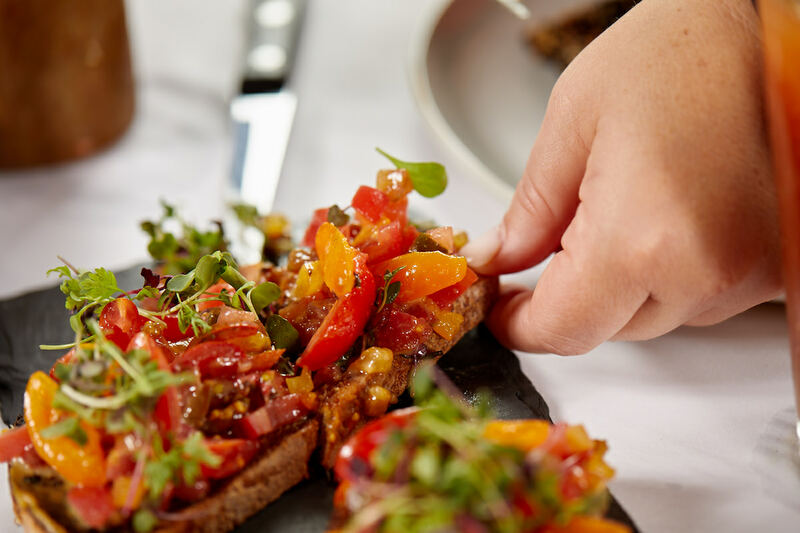 The heirloom tomato toast from Balboa Café’s new chef Goran Basarov is topped with Sherry-marinated tomatoes, roasted garlic, and micro greens. The Balboa Café dates back to 1913 and remains the haunt of choice for Cow Hollow, Pacific Heights, and Marina neighborhood residents. Make a reservation at Balboa Café. 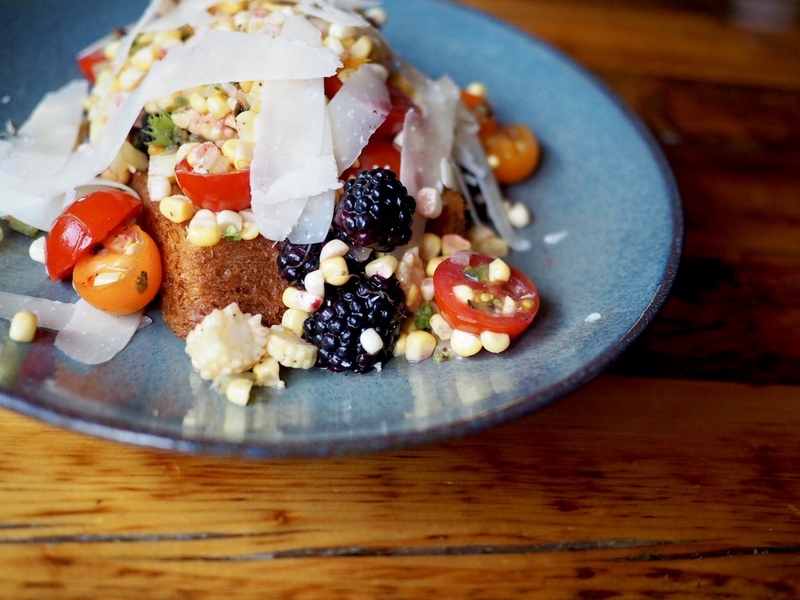 At his West Town neighborhood eatery, chef Jesse Badger prepares his tartine with fresh heirloom tomatoes and local sweet corn with basil, chili, and raspberries. Make a reservation at Homestead on the Roof. Pan con tomate is a summer favorite at The Brewer’s Table. Chef Zach Hunter chooses tomatoes from Fagan Family Farms to prepare his savory tomatoes-on-bread concoction. Here the food and beer are equal partners, so ask your server to suggest a pairing. Make a reservation at The Brewer’s Table. 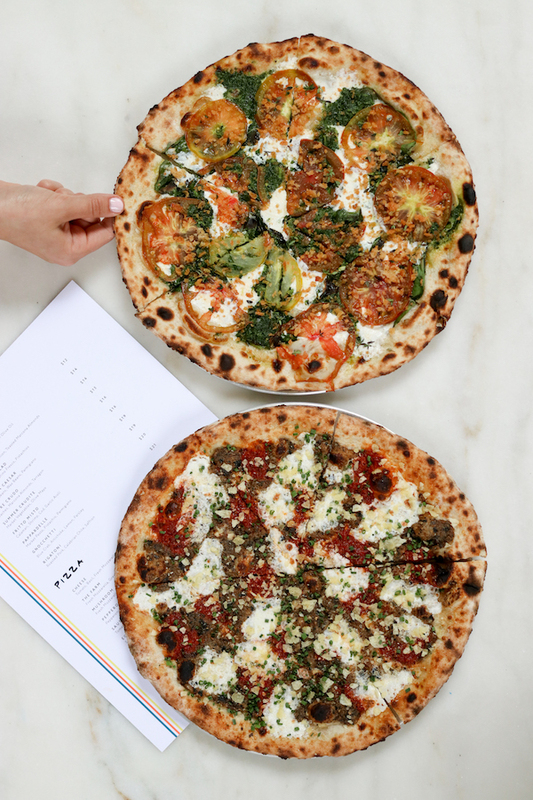 Union Square’s bustling Italian eatery is home to chef Timothy Meyers’ farm pie. His seasonal pizza is inspired by the fresh produce available at the Union Square Greenmarket through the last few weeks of summer. Meyers decorates his farm pie with fresh mozzarella, green garlic, herbs, and a bounty of heirloom tomatoes. Make a reservation at Bocce Union Square. It’s Nashville, y’all, where panzanella salad is made with cornbread, and the best tomatoes come from Smileys Farm. Chef Donald Counts makes his heirloom cherry tomatoes with jalapeño and bacon cornbread, an herbed buttermilk dressing, crispy prosciutto, and Kenny’s white cheddar. Make a reservation at City Winery Nashville. 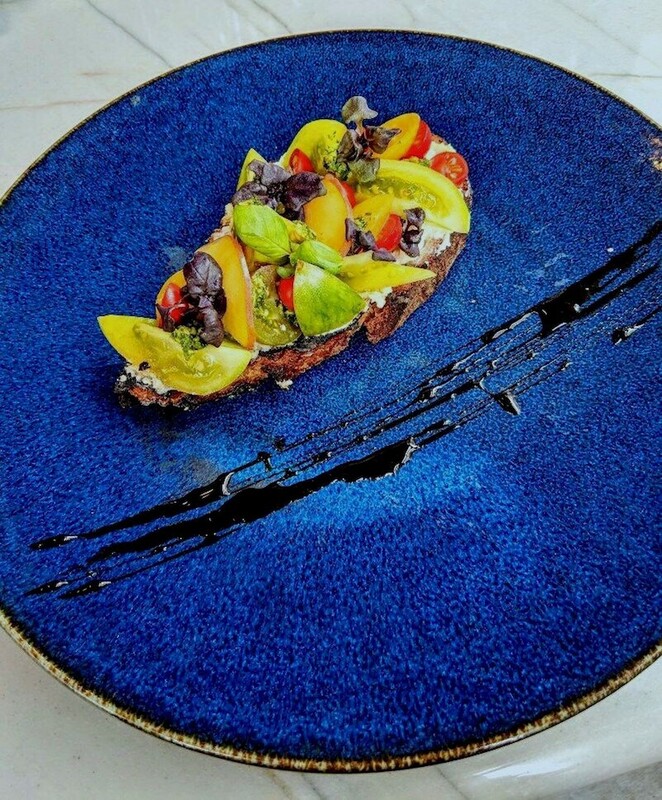 Chef Nathan Duensing’s heirloom tomato toast is a crunchy, sweet-savory revelation thanks to an inventive spread of almond pesto on sourdough bread with heirloom tomatoes and whipped mozzarella. Make a reservation at Marsh House. 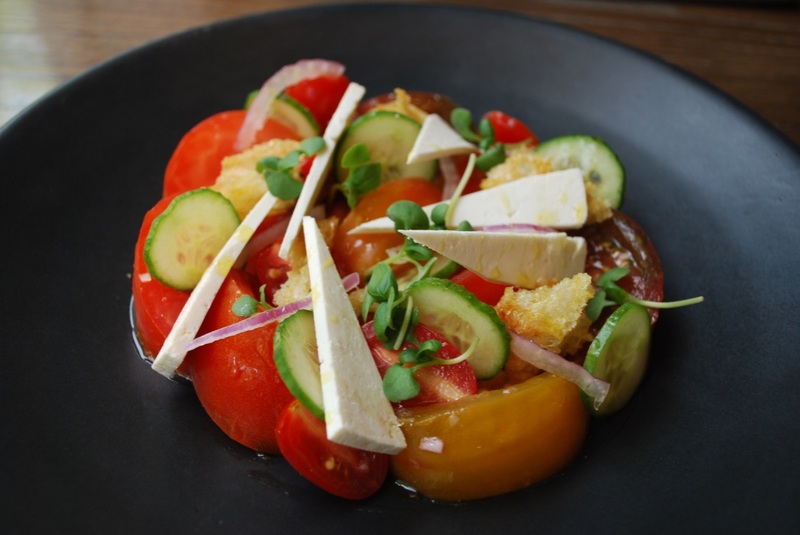 In scrumptious Nola, where the hot weather helps the veggies stay a little longer, chef Brian Landry takes full advantage of the heirloom tomato bounty with a salad of tomatoes, ricotta salata, and basil vinaigrette. Make a reservation at Jack Rose. 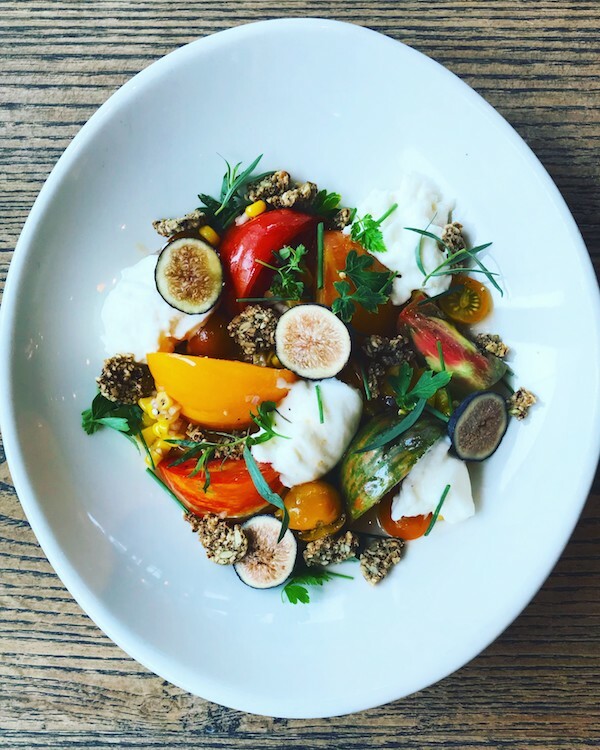 Corridor’s counter-service concept is the perfect place to grab the last of summer tomatoes in a fresh burrata salad with roasted corn, a sweet touch of figs, and crispy quinoa. Make a reservation at Corridor. 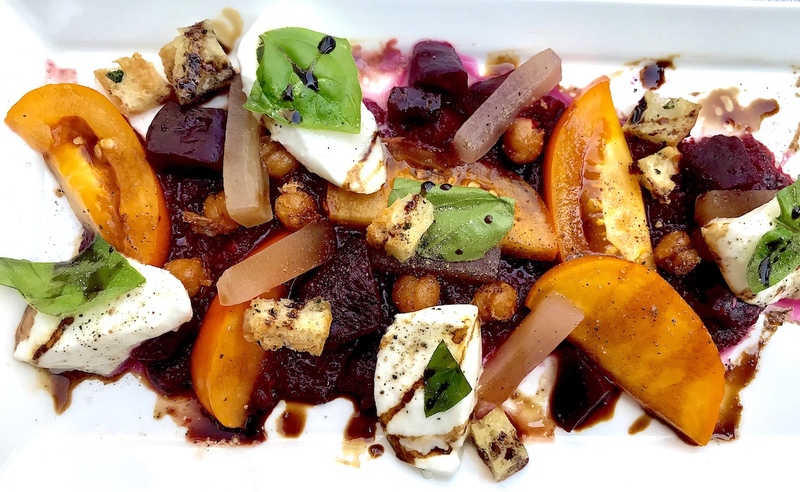 This Thurlow Street gem in the western metropolis of Vancouver features chef Wayne Sych’s take on a tomato and beet salad. 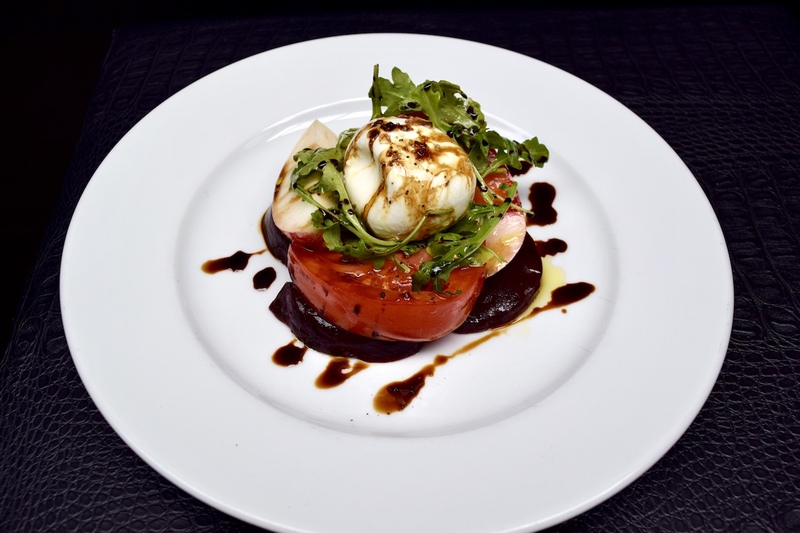 He flavors his heirloom creation with pickled beets, micro arugula, fresh mozzarella, and a balsamic gastrique. Make a reservation at Joe Fortes Seafood and Chop House. 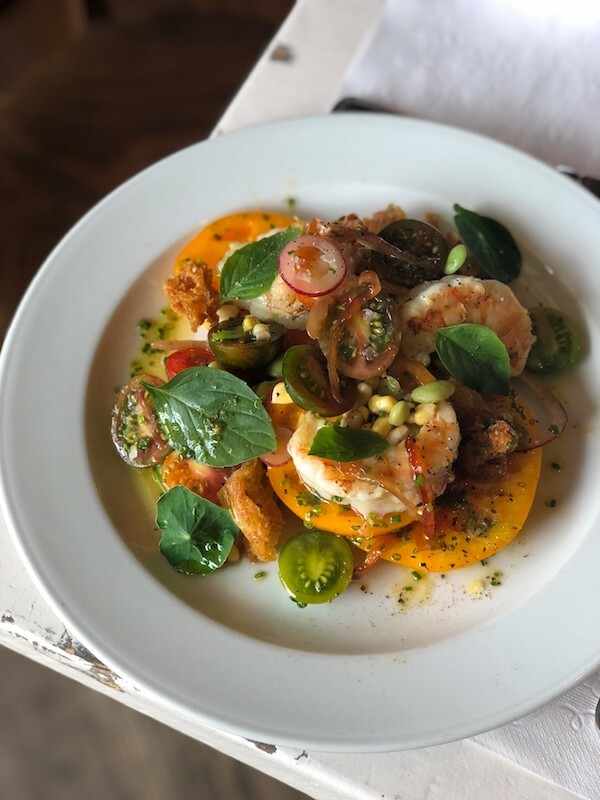 At one of Ford Fry’s restaurants, chef Brian Horn makes an heirloom tomato and grilled shrimp panzanella. He begins with sourdough and to the shrimp and tomatoes adds field peas, Georgia corn and sweet pepper, red onion, and a savory seasoning combination of basil, mint, tarragon, and parsley. Make a reservation at JCT Kitchen. 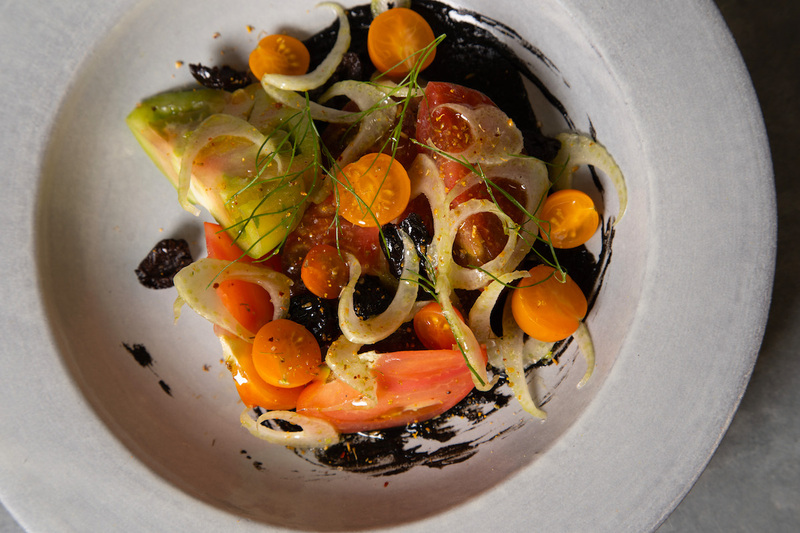 At this West Village hangout, The Loyal chef and restaurateur John Fraser highlights the last of summer tomatoes with Kalamata olives, buffalo mozzarella, and basil as part of his new lunch menu. It’s a great start before an order of shrimp scampi and a sundae for dessert, of course. Make a reservation at The Loyal. 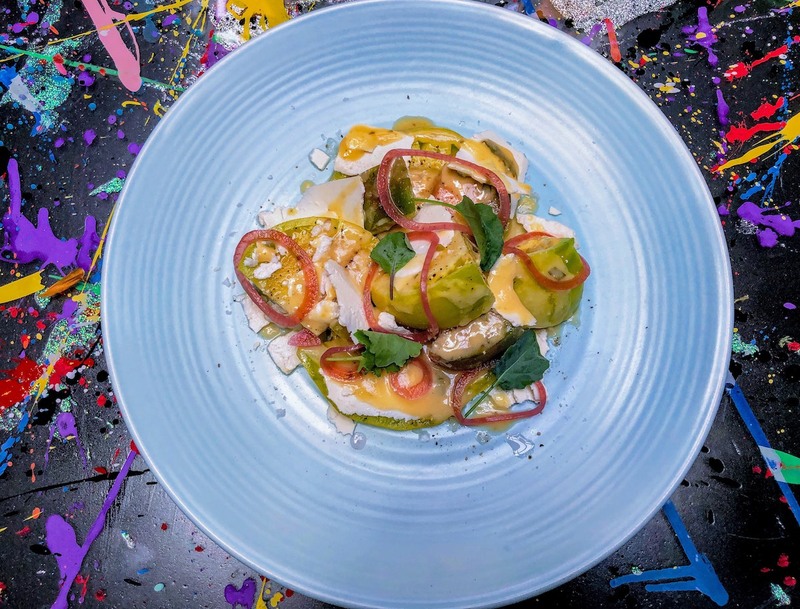 At this sister restaurant and market to Il Buco on Bond Street, chef Garrison Price at Il Buco Alimentari e Vineria combines marinated fennel, Gaeta olives, lemon, and Biancolilla olive oil with heirloom tomatoes in a refreshing salad brimming with flavors of the Mediterranean. Make a reservation at Il Buco Alimentari e Vineria. 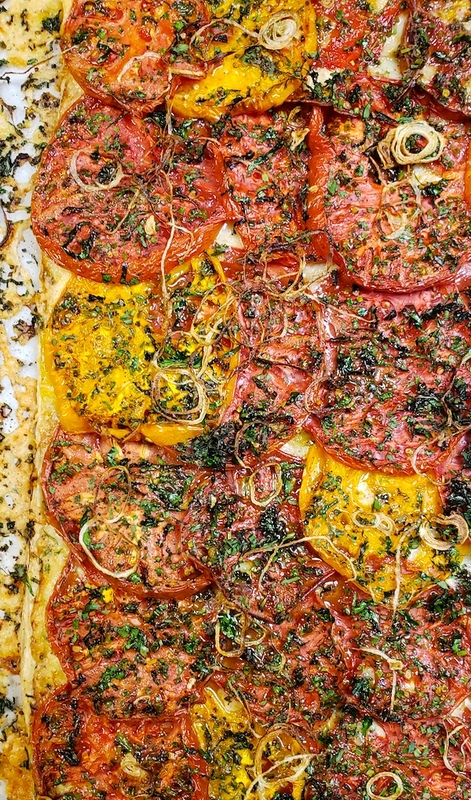 EJ Hodgkinson’s heirloom tomato tart has a devilishly good bite from the combination of goat cheese and freshly grated parmesan cheese. He prepares these ingredients with thinly sliced garlic, baby onions, basil, and thyme in a light puff pastry. Make a reservation at King + Duke. 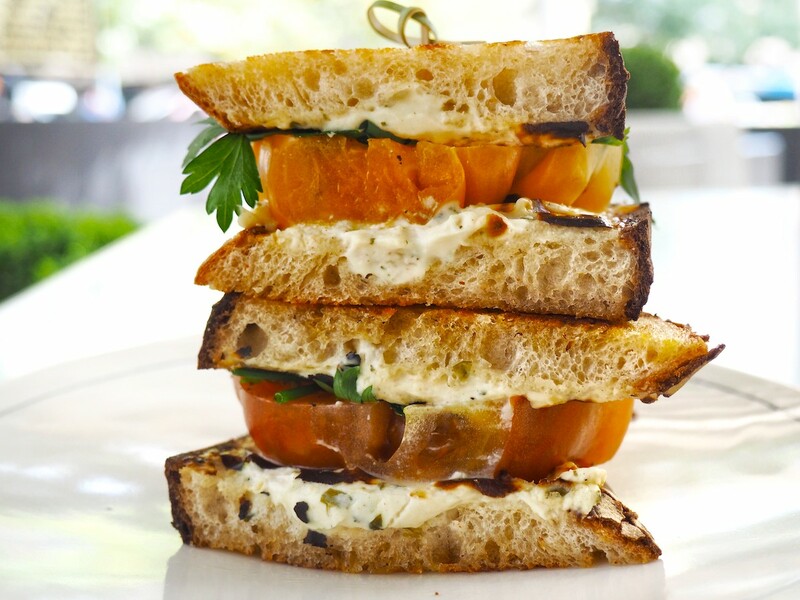 The grilled cheese and thick sliced Pedernales Valley Farms heirloom tomato sandwich has become an Austin obsession with the French touch of Boursin spread, fine herbs, and lemon and on sourdough bread. Part of a commitment to responsible sourcing and sustainability, this downtown restaurant practices conscious cuisine. Make a reservation at TRACE. 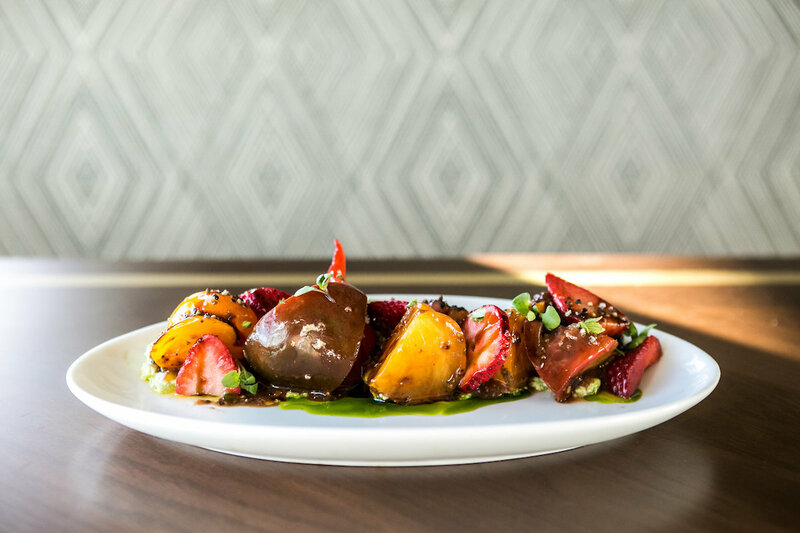 Roasted beets and nectarines make this heirloom tomato salad stand out from chef Kyoo Eom, with burrata, fresh basil, and balsamic vinegar. Make a reservation at Dirty Habit. 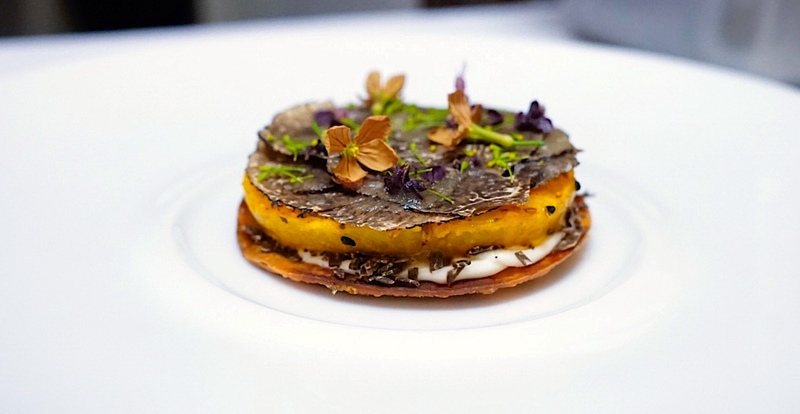 Fans of chef Michael Mina’s Middle Eastern heritage cuisine swim in lazy circles over his tomato Börek with toasted sesame, brown butter, and Australian black truffle. The dish is part of his new six-course tasting menu. Make a reservation at MICHAEL MINA. Guests are spoiled in Capital fashion at Urbana, where chef Ethan McKee has his own on-site garden. 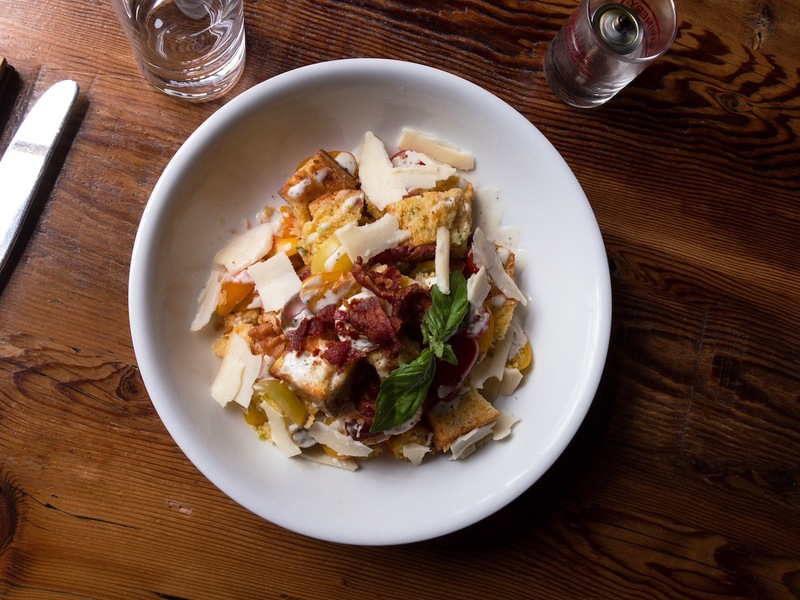 He takes the classic preparation of panzanella and combines it with heirloom tomatoes, beets, cucumbers, chickpeas, housemade croutons, buffalo mozzarella, and balsamic vinegar. Make a reservation at Urbana. 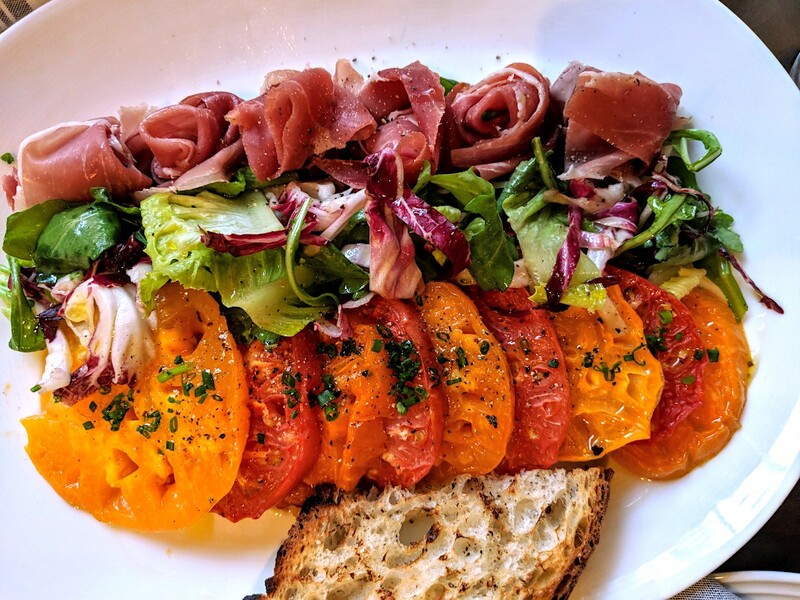 The classic flavor combination of tomatoes and Italian ham come to life on the plate in chef Sebastien Rondier’s heirloom tomato and shaved prosciutto dish with endive and radicchio, served, of course, with crunchy grilled country bread. Make a reservation at Brabo Brasserie. 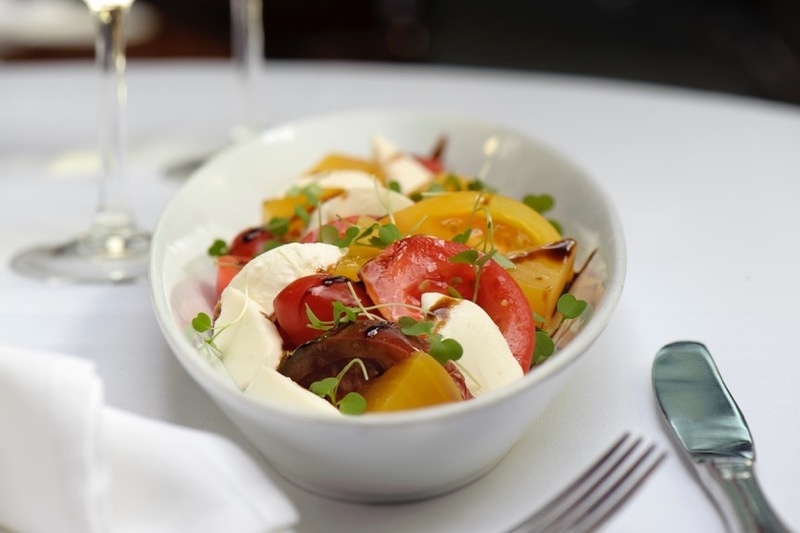 Who are your picks for top restaurants for heirloom tomatoes? Tell us here or over on Facebook, G+, Instagram, Pinterest, or Twitter. And, remember to snap + share your #dishpics with us on Instagram for a chance to win in our weekly giveaway. Photo credits: David Escalante (Bouchon); Adam Frazier (Estiatorios Milo); Sienna Viette (Jack Rose); Michael Sati (Josephine); Jonathan Norton (Wildebeest); NewRevMedia.com (Balboa Cafe); Bonnary Lek (Brabo); Julia Majors (Urbana and Dirty Habit); Dillon Burke (The Loyal); EJ Hodgkinson (King + Duke); Antonio Díaz de Sandi (El Jardin); Michelle Banovic (312 Chicago); Michael Passafaro (Michael Mina)..